It’s the biggest purchase you’ll ever make. It’s a chance to escape the uncertainty of spiraling rents and plant some permanent roots in the Netherlands. 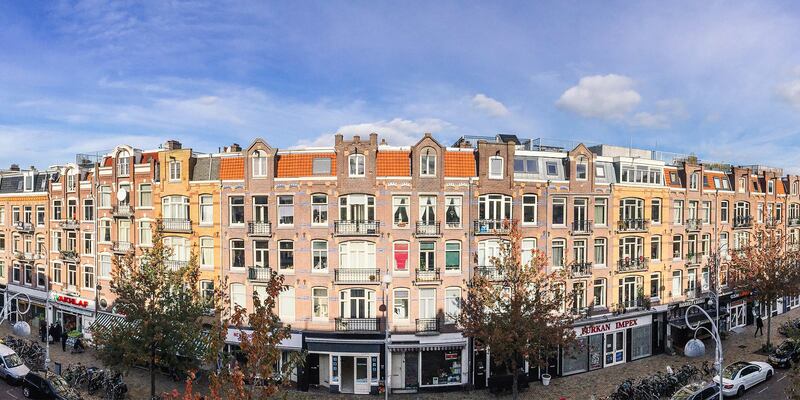 With social housing waiting lists pushing ten years and private sector rents averaging €2,200 per month, buying a house in Amsterdam can certainly seem like a good idea. Just like anywhere else, buying a house in the Netherlands comes with a whole galaxy of bureaucratic and financial headaches. But before getting there, you’ll need to know where you want to live, and how much you can spend. Amsterdam is densely populated and much more expensive to buy property in than other Dutch cities. All but the wealthiest buyers can rule out living in a grand old canal-side house in the city center. But in outlying neighborhoods and even in surrounding suburbs and towns, it’s still possible to find a good deal. We’ve chosen a few neighborhoods that should be on any prospective buyer’s radar. Despite its streets lined with monumental buildings, Amsterdam Oost (east) was until recently a neglected area of the city. Now though, the area has a significantly lower crime rate than the rest of the city, and the immigrant population rubs shoulders with students, expats, and young Dutch professionals. This eclectic mix can be seen on the Javastraat, where a young crowd packs out hip bars and cafes in the evenings after the Turkish and Iraqi grocery stores close. With a vibrant social scene and the city center barely a ten-minute cycle away, property prices here have been climbing for the last few years. 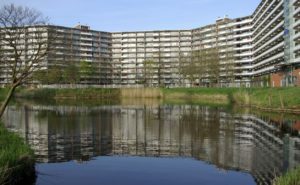 Expect to pay between €2500 and €5000 per square meter, with properties near the lush Oosterpark fetching up to €6000 per m2. 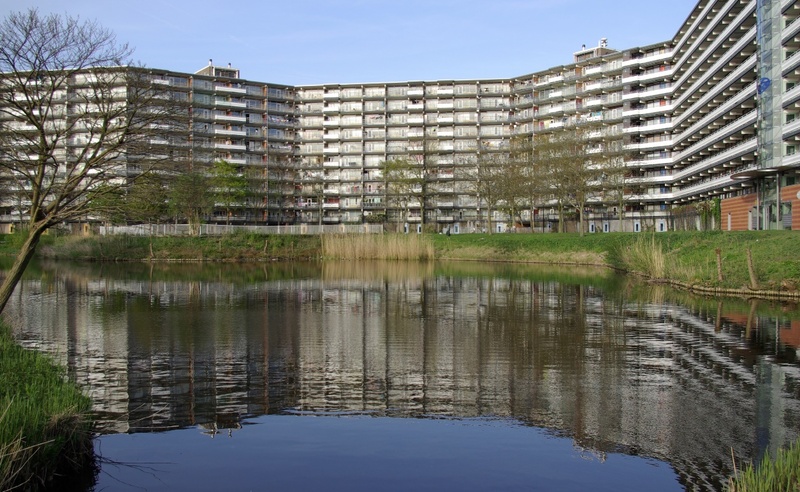 Once a byword for neglect, and a neighborhood people turned their noses up at, Amsterdam Zuidoost (Southeast) has turned its reputation around in recent years. 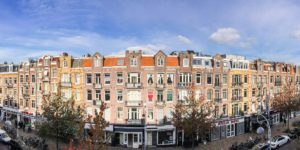 While there are still areas that some regard as ‘shady,’ Zuidoost offers more open space than the city proper, and ample shopping and entertainment options at the Arena boulevard. The city is a fair trek away, and cycling there in winter is a long and windy journey. By bike, Dam Square is 44 minutes from Gein station, and 32 from Bijlmer Arena. However, the relative isolation and old reputation have their upsides. You get much more floor space for your money here than almost anywhere else in the city. Prices range from €1500 or less per m2, to €2500. Metro lines 50, 53, and 54 are a lifeline between Zuidoost and the city, so expect to pay a little extra for a place close to a station. A desolate industrial wasteland turned Amsterdam’s hippest neighborhood: welcome to Amsterdam Noord (North). Just a stone’s throw across the river Ij from Central Station, Noord can be reached by bus or by a free ferry that runs every couple of minutes from the station. Warehouses and shipyards on the riverfront of Noord have been turned into bars, restaurants and galleries, and the A’DAM tower offers spectacular views over the city. Cycling inland from the hipster’s playground of the waterfront, Noord starts to feel more like a village than a city, with markets, green parks and quaint old Dutch houses replacing modern office buildings. 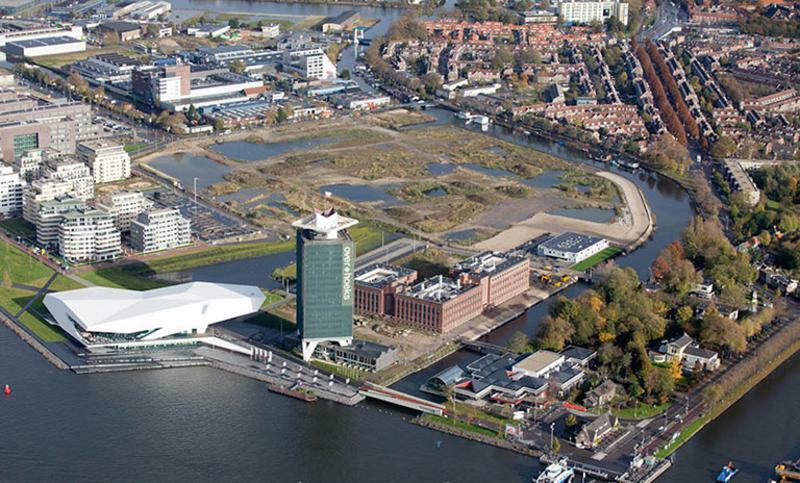 By the waterfront, property prices can reach up to €5000 per m2. Further into Noord, €1500 to €2000 becomes the norm. Prices here have slowly crept upwards in recent years, but could potentially skyrocket next year, when the long-awaited north-south metro line opens. Home to leafy suburban streets and the bucolic Amsterdamse Bos forest, Amstelveen is an amenity-rich area with a quieter and slower pace of life than Amsterdam. Although technically a separate municipality, Amstelveen is connected to Amsterdam by metro line 51 and is close enough to be considered a suburb of the capital. Many houses here have gardens, and there’s plenty of green spaces and open farms for families with children. Material needs are also well catered for here. The Stadshart Amstelveen shopping center has over 200 shops and was awarded the ‘Best shopping center in the Netherlands’ prize in 2015. A more desirable area than Amsterdam Noord or Zuidoost, property in Amstelveen costs on average around €3700 per square meter. 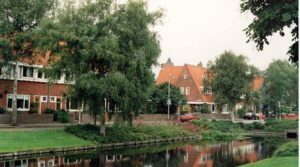 The city of Haarlem is a popular choice for buyers and renters who don’t mind keeping the bustle of Amsterdam at arm’s length. 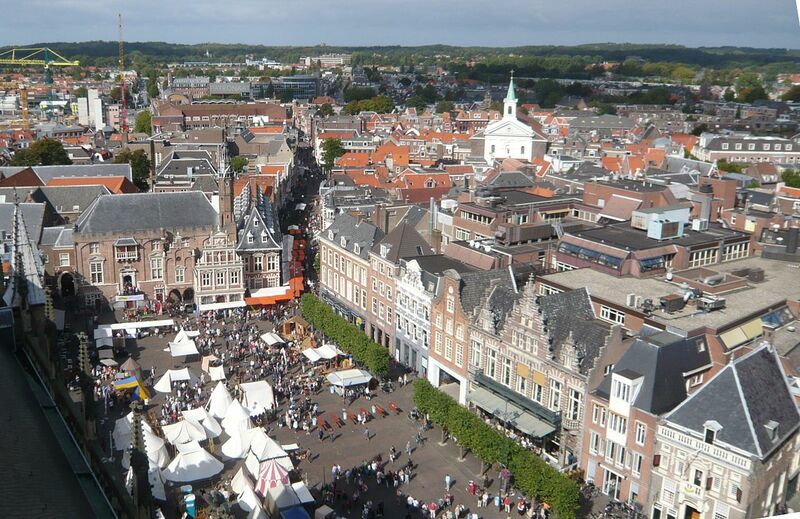 Reachable in 25 minutes by train from Amsterdam, Haarlem is a picturesque city of canals, markets, and monumental buildings. For a city with one sixth of Amsterdam’s population, Haarlem has plenty to keep residents occupied, like the yearly bloemencorso flower parade, the Haarlem Jazz & More festival, and a plethora of museums, theatres and concert venues. The seaside town of Zaandam is a 25 minute cycle away, perfect for those rare sunny days. The route to the see cuts through a national park, another world compared to the sprawl of Amsterdam. 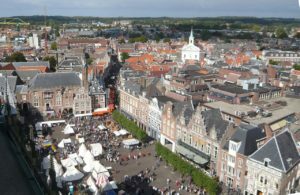 Real estate in Haarlem costs on average just over €3,200 per m2, with the stately homes in the city center commanding a hefty premium. 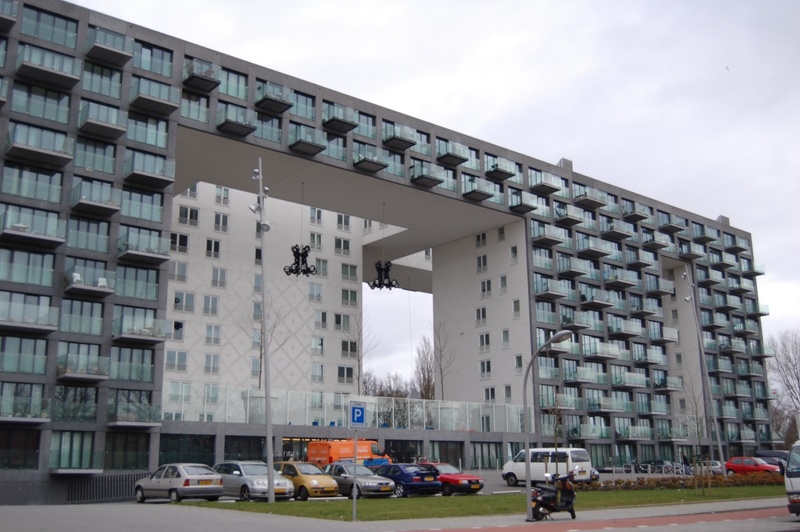 Just west of the A10 ring road in Amsterdam, property prices drop drastically. Buyers who may have once snubbed living outside the ring are now moving here in droves, lured by prices that have stayed reliably low while the rest of the city gentrified. Sprawling westwards from the edge of the city proper and occupying 32 square kilometers, much of Nieuw-West was constructed from the 1950s onwards. While many communities in Nieuw-West fell into disadvantage and disrepair in the subsequent years, urban renewal projects and modern housing developments have breathed new life into the area. Some areas remain “problem neighborhoods,” but the district is quite safe, and well connected to the city center by metro 50 and several tram and bus lines. From Osdorp in the far west, right up to the A10, property can be found for €1,500 to €3,500 per m2. One Response to "Buying a house near Amsterdam"
The seaside town of Zaandam – maybe Zandvoort?